After the University Communications and Marketing department sent out an email about illicit long-term parking at the Publix parking lot, some students are questioning the legitimacy of the towing policy. The email was sent on Jan. 7 to reiterate that Publix is not a USF-designated parking lot. It was addressed to students, faculty and staff, stating that the lot could not be used as a “long-term parking option” even with the use of a USF parking permit. Publix management has the authority to tow vehicles since the lot is not monitored by Parking and Transportation Services or owned by USF, according to the email. Brian West, a spokesperson for Publix, said students have been using the parking lot for school purposes well before the Publix was built. Some students are still unsure if Publix’s towing policy will be effective. There is not a tracking system set in place, however, West said Publix managers are monitoring the parking lot throughout the day. There has been no record of cars being towed thus far because Publix was waiting for students to return from winter break, according to West. Yutao, a sophomore living off campus, said during the first week of the semester he parked his car in the Publix parking lot to attend class. He said he read the email that the university sent out and knew that parking in that location would be a risk. 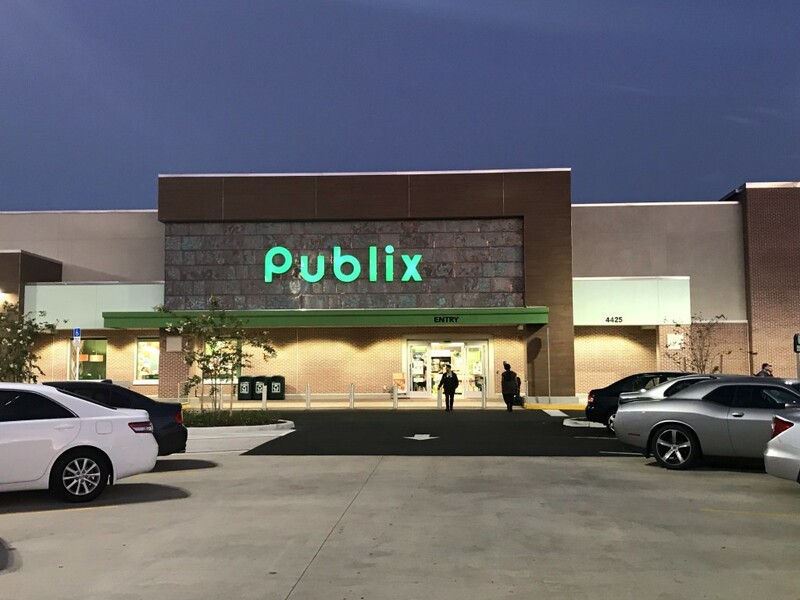 “There is very limited parking space (on campus) and people may not want to purchase a parking permit and just park in the Publix lot for free,” Yutao said. Madison, a sophomore and resident in the Castor residential hall, said the best option for Publix would be for its staff and management team to be vigilant. Madison suggested that if Publix wants to solve the parking issue, then employees and staff members need to be involved in the process. She also believes that Parking and Transportation Services should contribute and not have the responsibility solely fall on Publix. “USF security could possibly add (Publix) to their route and pass through making sure that cars haven’t been parked in the lot for too long,” Madison said. Aaron Nichols, assistant director of administrative services, said Parking and Transportation Services does not have the authorization to monitor the lot since it is operated by Publix. On the other hand, Jordan, a freshman living in the Endeavour residential hall located in The Village, said Publix wouldn’t be able to recognize an unwarranted vehicle unless it was parked overnight. According to Jordan, it would be difficult for Publix to distinguish which cars are customers shopping in the store and student cars parked long term. He said only after a car has been sitting in the vacant lot overnight, will Publix be able to notice and tow the vehicles. “Unless somebody is sitting out there and watching the parking lot, I don’t think that is something they can really regulate,” Jordan said. Madison said she understands why towing is necessary since students parking and leaving vehicles could potentially hurt Publix’s business. She said if she saw a full parking lot, then she would leave the location and find somewhere else to shop. According to Madison, it is going to be inevitable that students park at Publix. She said USF should make it their responsibility as well so that Publix won’t have to be burdened with the responsibility of tracking students while running the business.